At the Lomography, we believe our online visitors have the right to know our practices regarding data we may collect when you visit our web sites. The policies contained herein apply to your visit to the web sites operated by Lomography and affiliated entities. We sincerely guarantee taking the highest care in protecting the privacy of our customers! We invest in high-quality security and do our utmost to protect user privacy through the appropriate use of the latest security technology. We shall take appropriate security measures to prevent unauthorised access, disclosure, modification, or destruction of Data. In order to participate in activities on our websites, it will be necessary for you to provide us with some personally identifiable information. If you choose not to provide this information, you may not be able to participate in these activities. The Data is kept for the time stated in this document, and you can always request suspension or removal of your data. The data processing exclusively takes place according to the mandatory regulations of the Austrian Telecommunications Act (TKG 2003) and the EU General Data Protection Regulation (GDPR, DSGVO). It takes place in the European Union, Switzerland, and the United States. The data processing in Switzerland and the United States is compliant with the Privacy Shield Framework. If you contact us through forms or directly by email, we store the data provided for six months for the purpose of processing the inquiry and follow-up questions. We will not pass on any individual user details (including your email address) for third party use unless we have your prior consent. For the purpose of an improved shopping experience and later execution of the contract, we as web shop operator collect the IP address assigned to you by your internet service provider, as well as name and postal address of the buyer. All transactions are processed through 128-bit encryption. We work with other companies that help us provide products and services to you. For example we may provide your name, address, and telephone number to companies for the shipment of products to you, or to ensure that you benefit from special purchase discounts or terms. In addition, where you request online payment-handling services, some of the information you provide will be passed to payment providers to authorise for your purchase. For the management of legal and fiscal aspects of our contractual relationships, we provide data to external professional legal and fiscal consultants to fulfil the requirements of the applicable laws or regulations, in particular, related to tax matters. The data provided is required for the fulfilment of contractual purposes or for the implementation of pre-contractual measures. Absent this data we cannot conclude contracts with you! If you cancel a shopping process, the data collected will be deleted immediately. If a contract has been concluded, all data collected from this contract will be stored according to tax regulations for seven years. Name, address, articles purchased, and date of purchase will be stored ten years for product responsibility. Data processing is according to legal requirements of § 96 Abs 3 TKG 2003 and Art 6 para 1 lit a (consent) and/or lit b (necessary for the performance of a contract), and/or lit c (legal obligation) of the EU-GDPR. We also use so-called tracking pixels. A tracking pixel is a miniature graphic that is embedded in web pages to enable a log file recording and a log file analysis through which a statistical analysis may be performed. Based on the embedded tracking pixels, we are able to determine if and when our site was opened, and which links were clicked on by you. Tracking pixels serve to analyse the flow of visitors on a website. You can prevent the setting of cookies by adjusting the settings on your browser (see your browser help for how to do this). Be aware that disabling cookies will affect the functionality of this and many other websites that you visit. Disabling cookies will usually also result in disabling certain functionality and features of this site. Therefore it is recommended that you do not disable cookies. Google Analytics, Google Inc., 1600 Amphitheatre Parkway, Mountain View CA 94043, USA, compliant with the EU-US Privacy Shield Framework. Facebook Pixel, Facebook Inc., 1601 S. California Ave, Palo Alto, CA 94304, USA, compliant with the EU-US Privacy Shield Framework. The Facebook Pixel is a code on our website that lets us measure and track the actions taken by you on our site. It can then help building advertising audiences thanks the actions tracked. The collected data is transferred to the respective service provider in the European Union, Switzerland, or the United States, where it is stored and evaluated. The terms and conditions for carrying out data processing are subject to strict contractual obligations, in which the parties agree on data protection and information security requirements. Our service providers are only able to process data on our behalf and in accordance with our instructions. Your IP address will be collected for Google Analytics and Criteo Dynamic Retargeting in pseudonymous form, which is a non-precise information related to your geography and derived from the truncated IP address of your connection. It will be collected in order to serve you ads only for products and services available in your country, region or city. This makes only a rough geo-localisation possible. Your full IP addresses may only be used by Criteo for fraud detection purposes, sales attribution, and marketing reports with aggregated data. The Facebook Pixel collects your full IP address with each call-up of our site. However, any customer data you pass through the Facebook pixel is hashed locally on the browser before it goes to the Facebook servers for matching. This hashing process turns your data into short encrypted messages that cannot be tampered with. They use these hashes to match pixel events with people on Facebook. Then Facebook deletes all matched and unmatched hashes immediately after the matching process ends. They do not collect or store any personally identifiable information on their servers. The Facebook pixel uses secure https connection, so that any data transmitted from the browser will make it to their servers safely. Data processing is according to legal requirements of § 96 Abs 3 TKG 2003 and Art 6 para 1 lit a (consent) and/or lit f (legitimate interests) of the EU-GDPR. Our legitimate interests for the purposes of this regulation are improvement of our products, services and online presence. Web analysis user data will only be deleted upon request. Without any requests from you, we consider your continued use of our site as a consent for those technologies. You may subscribe to subscribe to our newsletter on our website. We only need your email address and your consent to receiving our newsletter. 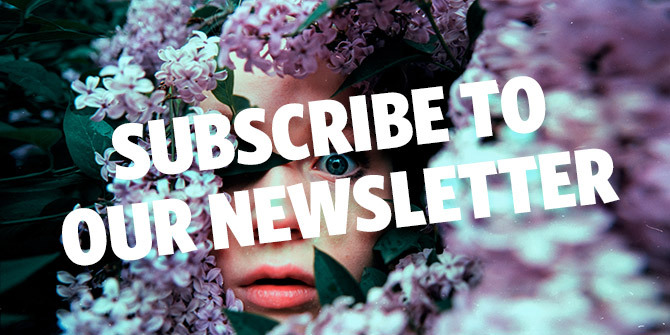 If you subscribe to our newsletter, we will send you an email with a link to confirm your subscription. You may cancel the subscription to our newsletter at any point by sending your cancellation to help@lomography.com. We will promptly delete your data regarding newsletter transmission. We process submitted applications and other data in the field of employment for recruitment purposes only and we will not share it with anyone else. We delete this data six months after our vacancies are filled in accordance with the Equal Treatment Act (GlBG). We cannot estimate the exact time period until a vacancy is filled, but we will consider this period over when a candidate bindingly accepts our offer for the position for which we are considering you. When that period is over, we will either delete your data or inform you that we will keep it in our database for future roles. If you create an account with us, we will email you occasionally with information or queries about your registration, your subscription account or postings, reminders, follow-ups on products, warnings, or copyright requests. We also send a reminder if you have items in your cart, but did not check out yet. If you do not want to receive e-mail from us, please visit the Email Preferences section of your User Profile and/or follow the instructions contained in the unwanted e-mail message. However, please note that in all cases you will continue to receive all system e-mails (e.g. those regarding forgotten user passwords) and legal notices (e.g. updates to our policies) from us. If you make a purchase through our website, we might use your email address to build custom targeted audiences on Facebook or send targeted newsletters for marketing campaigns that will only be relevant to you. You will not receive unsolicited marketing emails from this third party partner, and we will not share your email address with anyone else without your prior consent. The emails lists we pass to Facebook will be hashed to turn your data into short encrypted messages that cannot be tampered with. Facebook does not collect nor store any email information on their servers. If you do not want to receive marketing emails, please let us know and we will remove your information promptly. If you wish to opt-out from future advertising campaigns from us, please visit your Facebook account ads preferences: https://www.facebook.com/ads/preferences/?entry_product=education_page. Please also consider the following data collection, data processing and privacy respective policies of our service providers! The terms and conditions for hosting data processing, content delivery, and other services we use are subject to strict contractual obligations, in which the parties agree on data protection and information security requirements. Our service providers and content delivery networks are only able to process data on our behalf and in accordance with our instructions and are compliant with the EU-US Privacy Shield Framework. Postings on our web services are not private and may be published and edited at our discretion. Your postings are stored and published, as well as connected information, such as date, time, pseudonym, and assigned IP address. This storage of the IP address takes place for security reasons, in case someone violates the rights of third parties, or posts illegal content. Users are responsible for any personal data of third parties obtained, published or shared through our services and confirm that they have the third party’s consent. We will never release the name or other personal information about a Member without the permission of that Member other than as required by law, but reserves the right to distribute aggregated demographic information provided by Members. The exchange between us and the Member of information such as passwords or electronic mail may not be secure given the current state of the Internet. We encourage Members to change their passwords frequently! Personal data may be used for legal purposes, in court or in the stages leading to possible legal action arising from improper use of our services. We may be required to reveal collected data upon request of public authorities. For operation, error tracking and maintenance purposes, we may record system logs or IP addresses for the duration of the specific maintenance. We may offer social media sharing functionality on our site. The social media buttons (eg. twitter, facebook, tumblr, pinterest) on this site allow you to connect with your social network and other services in various ways. These are links to other services that do not compromise your privacy without your intervention. Please note that we have no influence on the extent of the data retrieved by these services if you follow these links or activate plugins by clicking on them. They will track and set cookies which may be used to enhance your profile on their site or contribute to the data they hold for various purposes outlined in their respective privacy policies. On our site, we use integrated components (embeds). With each call-up to one of our individual pages on which an embedded component is integrated, your browser is automatically prompted to download a display of the corresponding component. During display of the component, the provider of the component may gain knowledge of what specific sub-page of our website was visited and your IP address. Data processing is according to legal requirements of § 96 Abs 3 TKG 2003 and Art 6 para 1 lit a (consent), lit b (necessary for the performance of a contract), lit c (legal obligation), and/or lit f (legitimate interests) of the EU-GDPR. Users have the right, at any time, to know whether their personal data has been stored and can consult us to learn about their contents and origin, to verify their accuracy or to ask for them to be supplemented, cancelled, updated or corrected, or for their transformation into anonymous format or to block any data held in violation of the law, as well as to oppose their treatment for any and all legitimate reasons. Requests should be sent to the data controller at the contact information set out below. Our website does not support “Do Not Track” requests.